Stacy Flanery is a Dental Assistant with Downtown Dental Group. She loves that the staff at DDG is she enjoys helping patients that are self-conscious about their teeth and helping them find their confidence through the Downtown Dental Group treatment. Most patients would be surprised to know that while she grew up in Kansas, the only tornado she has been in was while she lived in South Carolina. She hid under a mattress in the kitchen because most people there do not have basements. He favorite memory of DDG is when everyone dressed up as superheroes for Halloween and went reverse trick or treating down on Pointz. Dr. Winter wasn’t going to be at work that day, so the staff took a picture of him and dressed up a cardboard cutout of him and took it with them while they went downtown. They even went to a wedding gown shop and dressed up the cutout of Dr. Winter in a wedding dress! 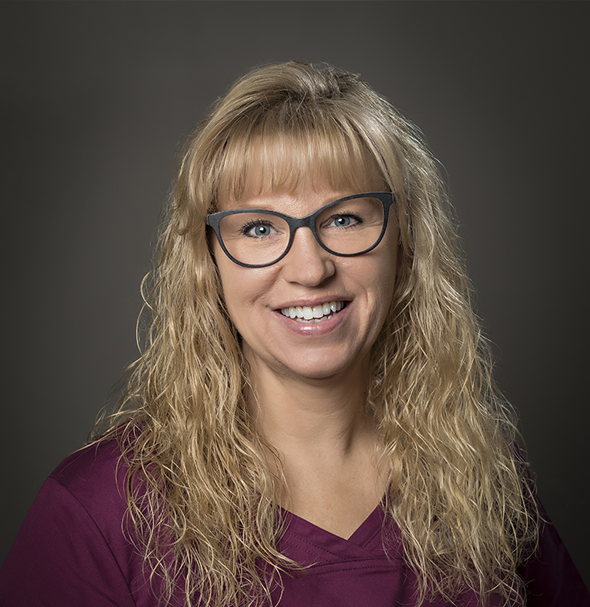 Stacy wants all her patients to know that her advice to them would be the tooth is the only part of the human body that can’t heal itself, regular dental visits for cleaning and checkups are important because they help stop the small dental issue from becoming big ones. The best way to Stacy’s heart is through brownies!